With his two doubles against the Blue Jays on Sunday Nick Markakis took sole possession of the major league lead in the category. Markakis’ 31 doubles are two better than the season totals posted thus far by Josh Hamilton and Evan Longoria. Markakis, one of the Orioles’ lone bright spots during a dismal 2010 season, is currently on pace to top Brian Roberts’ club record 56 doubles in 2009. Roberts had 30 doubles through 91 games; Markakis has 31 doubles in 91 games. Roberts has three of the Orioles’ highest single-season totals for doubles (50, 51, and 56). 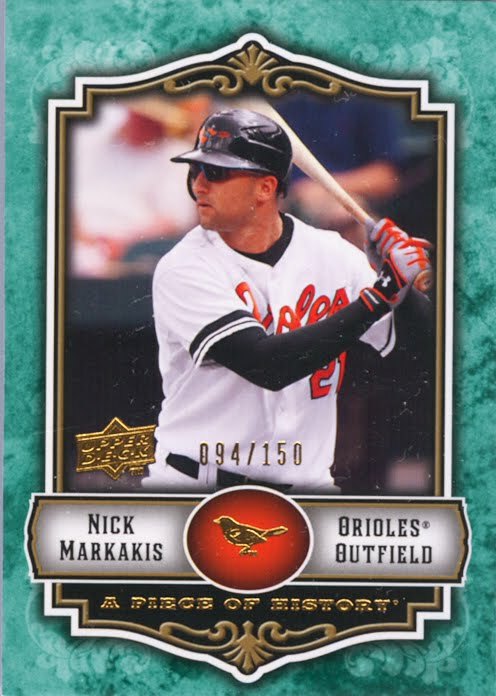 Meanwhile, Markakis’ career-high 48 doubles in 2008 tie him with Aubrey Huff for the team’s seventh-highest single-season total. Teammate Miguel Tejada’s 50 doubles in 2005 are tied with Roberts for fourth all-time. Cal Ripken Jr. is the franchise’s career leader in doubles with 603 in 21 seasons. Markakis, 26, currently has 190 career doubles and counting. Roberts had his breakout season for doubles at age 26, hitting 50 to up his career total at the time to 90. Ripken had 211 doubles by age 26.